The guitar is an incredibly versatile instrument that can provide a lifetime of musical enjoyment. 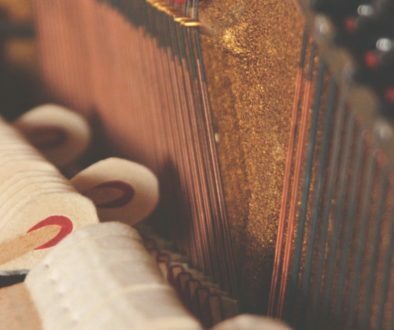 While it is not as complex as an acoustic piano, there are still several factors to consider in its care and treatment. Read on to discover great advice from our Songbirds Music, Art, & Dance Center staff that will ensure longevity, great sound, and a beautiful finish on your guitar. If you would like your guitar to be happy and healthy, it is important to keep it regularly tuned and in shape. Depending on the size, scale, and model of your guitar, the strings exert anywhere between ninety and two-hundred and fifty pounds of constant tension on the guitar neck and body. In order to keep the guitar in a constant state of playability, it is important to keep the tension consistent and accurate. Even if you do not play your guitar frequently, you should check in every so often to make sure that the strings are in tune. If you are planning to put your guitar away for an extended period of time, such as in climate-controlled storage, please do not remove the strings of your guitar. Doing so may allow the guitar neck to warp out of shape as it adjusts to the lack of pull along its neck. It might be a good idea to very slightly loosen the strings to allow for any fluctuations in temperature, and therefore expansion and contraction, however. Much like an acoustic piano, the guitar craves the most constant conditions, temperatures, and environment possible. Be sure to purchase a great and reliable electronic tuner! Action refers to how high or low the strings of the guitar are in relation to the fretboard. Unless you have some unique compositional or playing needs, it is best to keep the action relatively low. This closeness of the strings to the fretboard allows for smoother, faster playing, less erroneous noise, and better tone. In fact, if the action is too high, certain notes may not play in tune at all. Every model of guitar has a different recommended string height per its manufacturer’s specifications. You can usually find this information pretty quickly online by visiting the manufacturer’s website or calling their customer support. If you measure the height of your strings and find that they are too high, too low, or the guitar doesn’t play as well as you’d like, it is time for an action adjustment. This can also be called a guitar set up. Guitar set ups and action adjustments are best completed by an experienced luthier, or guitar technician. While there are many guides online on how to accomplish this yourself, it is best to leave it to the professionals. Action adjustments involve special measuring tools that focus on incredibly small distances. Plus, you wouldn’t want to hurt your guitar! Ask us for our luthier recommendations here at Songbirds Music, Art, & Dance Center. No matter how hard you try, you will need to change your guitar strings at some point. If you play frequently, it’s usually a good idea to change them once per month. Experiment with different brands of guitar strings to see which kind fits your playing the best. Some strings, especially for electric guitar, are even manufactured with special coatings to give them extra life. They may be slightly more expensive, but in my experience, the general feel and quality is often worth it. If your guitar is not staying in tune as well as it should, your strings appear to be tarnished, the strings rattle or buzz, or you can see or feel corrosion on the strings, it is past time to change them. Fortunately, changing strings is a very simple process that is not difficult to learn. All you need is a screwdriver, wire cutters, new strings, a tuner, and some patience! It’s a good idea to change your strings for the first time with an experienced friend or with the help of an online tutorial. You may have noticed that guitar strings come in all sizes, or gauges. String gauge refers to the overall thickness of each string and is measured in fractions of inches. Normally, strings come in extra light, light, medium, and heavy gauges. Please note that there is no correct answer! The best players in the world use all different kinds of gauges based on their musical needs. In general, heavier gauge strings stay in tune longer and are more stable, although they are harder on your fingers. Some techniques, such as string bending, may be very difficult or even impossible on heavy gauge strings. Lighter strings, on the other hand, are very flexible and allow for more artistic expression. They do have a tendency to break easily and go out of tune, though. It’s a good idea to experiment with several gauges to find what fits you best. Please do not fall into the common trap of thinking that medium gauges are “average” or the most common (what you should be using). This is not true at all! I encourage you to be curious in order to find the best fit for your playing. Having the correct gauges for you will make a world of difference. You fingers and your guitar will thank you! Lastly, there are two common types of string winding: flat wound and round wound. Most players use round wound strings as they are more brilliant and responsive. Flat wound strings are best for jazz artists and musicians who desire a more mellow tone. Like with gauges, experiment to see what type fits your musical needs best! In order to keep your guitar looking and playing its best, you will need to frequently clean it. It’s best to purchase a microfiber cloth to store in your guitar case or near where you practice. This unique fabric is great for removing dust, sweat, and oil buildup without spreading chemicals and cleaners on your guitar. Microfiber cloths also do wonders for extending the life of your guitar strings. I highly recommend giving your strings a thorough wipe-down after every time that you touch them. Be sure to wipe the entire surface of the strings as well as the underside of each one. Really go for it! Your strings will thank you and will definitely live longer. So much sweat, acid, and oil is excreted from our skin as we play, and those byproducts don’t interact well with metal strings! It is also a good idea to wipe down any metal, brass, or chrome part on your guitar, such as tuners, pickups, and the bridge. Those pieces experience skin contact as well, and they have a tendency to build corrosion, rust, and pitting before you know it! If you do have corrosion on the metal parts of your guitar, you can easily remove it with a simple home remedy. Some players recommend purchased chemicals from your local hardware or grocery store. While these may work on some instruments, you can never be certain how those chemicals will react with your guitar until it is too late. It’s better to be on the safe side! To remove corrosion, rust, and pitting on your guitar’s metal pieces, mix equal parts toothpaste and baking soda in a small cup or bowl. Apply this mixture to the affected areas with a gentle toothbrush and scrub gently. Allow the paste to sit on the metal for approximately five minutes before wiping it off with a clean, slightly damp towel. This should remove any blemishes while protecting the integrity of the metal. Be careful to not get any paste on the wood, though! Once the procedure has been successfully completed, and your guitar smells minty fresh, it’s a great idea to get in the habit of regularly cleaning the metal pieces with your microfiber cloth. It’s much better to be proactive than reactive! Please be careful when cleaning corrosion from electric guitar pickups. Some players prefer to leave corrosion on pickups as a certain right-of-passage, although it has little to no effect on tone variance. What you do with your pickups is up to you! It is a great idea to purchase special guitar cleaning kits online or from your local music store. Most of these kits come with several microfiber cloths and protective chemicals that are specifically designed to prolong the life of your strings and protect the finish of your guitar. Most importantly, they are safe for you and your instrument. Keep your guitar clean and fresh in order to help it play its best! Moisture, especially water, is the absolute enemy of the guitar. I have had one too many outdoor gigs where I have had to run for cover and throw garbage bags over my equipment in order to keep it dry and protected from an oncoming rainstorm. Your instrument should never get wet. If it does, unplug it immediately and do your best to wipe away any visible water and moisture from the guitar. You can’t be too careful! Then, it’s best to place it in a safe, dry place for several days. Be sure to leave it out of its case and try not to disturb it. Usually, your instrument will be more than fine after it has been allowed to properly dry out. Even if your guitar does not get catastrophically wet, humidity that is present in the environment can do a number on your instrument and its strings. If your guitar is an antique, particularly valuable, or delicate, it is best to leave it in its case at all times when it is not being used. I recommend purchasing small pacs of silica gel or other safe desiccants to place in the guitar and in its case in order to cut down on humidity. This is especially a good idea in Florida! If you choose to display your guitar by hanging it on your wall or leaving it on a guitar stand, that is fine. Just be aware that you may have to change your strings more frequently – humidity can corrode them! 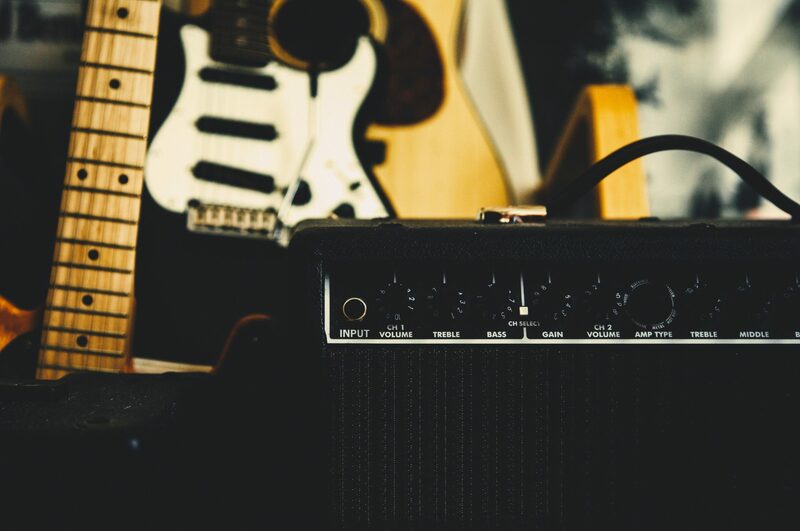 Although most guitar pedals and amps are built to last, it’s inevitable that they will eventually fail or need repair. If you are handy with a soldering iron, you can do most simple repairs yourself! Otherwise, the staff at Songbirds Music, Art, & Dance Center is happy to recommend some affordable, local technicians that can help you. Please be aware that tube amplifiers often need to have their tubes replaced. If your tube amp begins to fail, do not panic! It’s likely that the tubes are old, and although this can be costly, it is not a complicated repair. Lastly, be sure to always check the voltage requirements for your gear. If you are using several guitar pedals and effects, it is important to use isolated power systems. This prevents extra noise, hum, and clutter in your guitar’s signal chain and is all-around safer for you and your gear. Always use extension cords and sockets that have three prongs! Never, ever use two-pronged equipment as it is a danger for fire and electrocution. Most guitar pedals come with specific connecting cables for the power source. Be sure to connect the right pedals to the right cable! Also, when setting up your gear for the first time or at a new location, make absolutely certain that the power source is built for the correct voltage load. If you plug in to an outlet that has the wrong voltage by accident, you will become a human lightning rod as soon as you start playing your guitar. Your fans want to hear an electrifying performance, but not in that way! Please remember to have patience, think carefully, and set your gear up thoroughly when playing with electronics. We hope that this article helps you maintain, care for, and enjoy your guitar and equipment. As always, we at Songbirds Music, Art, & Dance Center are more than happy to help answer any of your questions. Happy music making!